The replacement cost of your home can be easily misunderstood. This property insurance term refers to the value of your home for purposes of determining the amount of coverage needed in the event of a total loss of the dwelling. The replacement cost is an estimation of how much it would cost to re-build your home with similar materials. 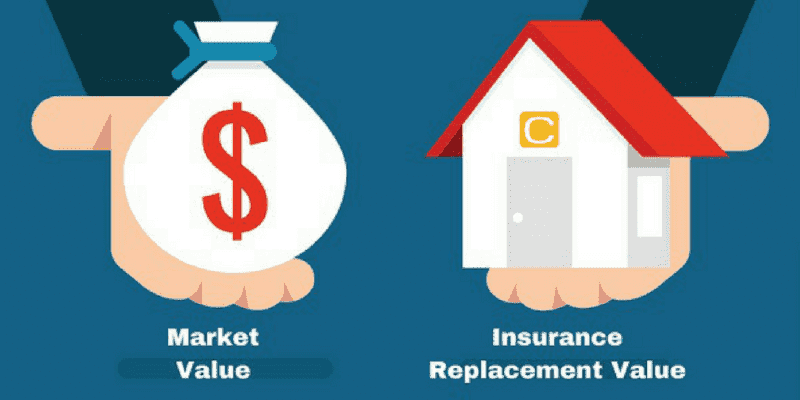 The insurance replacement cost is not based on the current market value of your home. The market value of your home includes the value of the land the house is on and many other market factors such as neighborhood, amenities nearby, etc. Your home should be insured for 100% of its estimated replacement cost. To determine the amount for replacement cost, the insurance company will use information such as the square footage, number of stories, shape, the year originally built, if the basement is finished, exterior material of the house, if there is a garage, even characteristics like the roof material, any unique features. Most comprehensive Homeowner insurance policies include guaranteed replacement cost. This means even if the cost of rebuilding your home exceeds the replacement cost shown on your policy documents, the insurance company will still cover the full cost to re-build your home. A single limit of insurance is also often available for most comprehensive homeowner insurance policies. This combines the coverage for the dwelling itself, contents/personal property, detached private structures and additional living expenses. Speak to your Morison Insurance broker to see if guaranteed replacement cost and single limit options are available. It is highly recommended that you ensure they are added to your policy.